Now, what to name it? I've posted a lot of projects on this site, but this one is hard -- hard enough that it's been many years in the making, and I'm only just now talking about it. 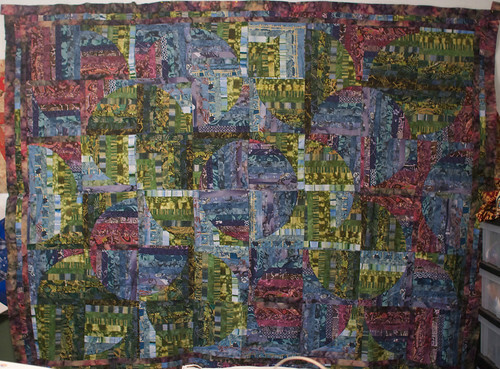 Hyperspace Bypass was my second attempt at quilting, and it was very nearly my last. It was too technically difficult for me at the time, and while I did my best, it didn't work out the way that I wanted it to. In perfectionist terms, I knew what I had to do: I packed it up and put it away. I've been dodging this quilt top ever since, and it has bothered me more and more throughout the years.